In the wake of Borders recent announcement it's folding up shop, those holding gift cards from the bookstore chain may have cause for concern. While the second-largest bookseller says it's presently honoring gift cards, shoppers are well advised to use up their balances before it's too late. We faced a similar situation when Blockbuster and Circuit City filed for bankruptcy and are likely to do so again. To ensure consumers don't get left in the lurch, here are a five lessons we've learned from these experiences. Store liquidations usually begin rapidly -- this Friday for Borders -- so it's often best to use up gift cards online, rather than wait until you have time to visit a retail store. 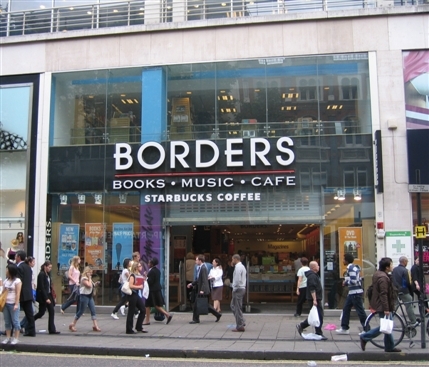 Borders liquidation website says all 399 remaining stores will close by September, but they may start writing the final chapter on your local store much earlier. 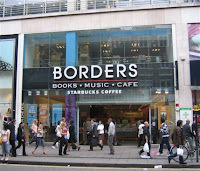 Borders was refused bankruptcy, meaning they had no choice but to liquidate. Other retailers, however, filed for bankruptcy and turned things around. Sometimes a company that's filed for Chapter 11 is allowed by the bankruptcy court to honor its gift cards. California, however, specifically requires merchants in bankruptcy compensate gift card holders. If you hear tales of other merchants threatening to close shop, research their financial stability via such sites as BBB.com and Forbes Risk List. (Stores considered at-risk by Forbes presently include Rite Aid and Zales.) Also, ScripSmart.com regularly updates its list of "Gift Cards to Avoid." If you've received a gift card for a merchant you wouldn't frequent, don't wait until a store goes out of business. You can exchange gift cards for cash right now on such sites as GiftCardGranny.com and receive up to 95 percent of the card's value in cash. If you're concerned about a retailer's financial stability but still want to buy a gift card, do so using a credit instead of a debit card. You can then ask the card issuer to withhold payment until you're sure of the merchant's status. 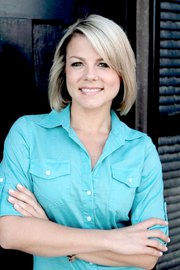 Guest Article provided by Andrea Woroch who is a consumer and money-saving expert for Kinoli Inc.. As a nationally recognized media source, Andrea has been featured on NBC Today Show, FOX & Friends, MSNBC, For more savings tips visit AndreaWoroch.com or follow her on Facebook and Twitter. I think these five illastration would be beneficial for desinger of gift cards, they should follow to these creational ideas.